It seems that the IB object templates in XCode 6 beta are still creating old-style objects (UIWebView for iOS and WebView for OSX). 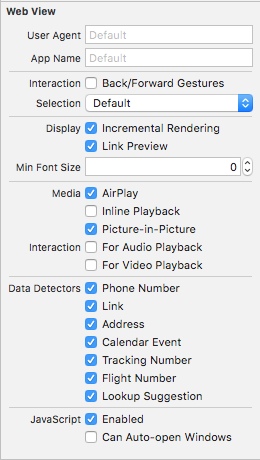 Hopefully Apple will update them for the modern WebKit, but until then, what is the best way to create WKWebViews in Interface Builder? Should I create a basic view (UIView or NSView) and assign its type to WKWebView? Most of the examples I find online add it to a container view programmatically; is that better for some reason? which implies that you can't instantiate one from a nib. You'll have to do it by hand in viewDidLoad or loadView. As pointed out by some, as of Xcode 6.4, WKWebView is still not available on Interface Builder. However, it is very easy to add them via code. You can find WKWebView element in the Object library. 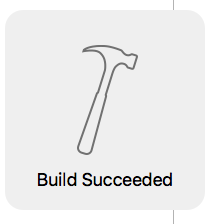 With Xcode 8 this is now possible, but the means of achieving it is a little hacky to say the least. But hey, a working solution is a working solution, right? Let me explain. WKWebView's initWithCoder: is no longer annotated as "NS_UNAVAILABLE". It now looks as shown below. Start by subclassing WKWebView and override initWithCoder. Instead of calling super initWithCoder, you'll need to use a different init method, such as initWithFrame:configuration:. Quick example below. // below by the autolayout constraints set in interface builder. // Set any configuration parameters here, e.g. // Apply constraints from interface builder. Over in your Storyboard, use a UIView and give it a custom class of your new subclass. The rest is business as usual (setting auto-layout constraints, linking the view to an outlet in a controller, etc). Finally, WKWebView scales content differently to UIWebView. Many people are likely going to want to follow the simple advice in Suppress WKWebView from scaling content to render at same magnification as UIWebView does to make WKWebView more closely follow the UIWebView behaviour in this regard. Here's a simple Swift 3 version based on crx_au's excellent answer. This is now apparently fixed in Xcode 9b4. The release notes say "WKWebView is available in the iOS object library." I haven't looked deeper to see if it requires iOS 11 or is backward compatible yet. You can instantiate and configure a WKWebView in IB since Xcode 9, no need to do it in code. Note that your deployment target has to be higher than iOS 10 though or you will get a compile-time error. In XCode Version 9.0.1 WKWebView is available on Interface Builder. Then just edit your code to change it to a WKWebView. You should also change the custom class to WKWebView in the Identity inspector. Not the answer you're looking for? Browse other questions tagged ios xcode macos uiwebview wkwebview or ask your own question. How to use WKWebView in interface-builder? Why is XCode giving me an 'unrecognized selector' error? How to stop WKWebView from autoplaying HTML5 videos? 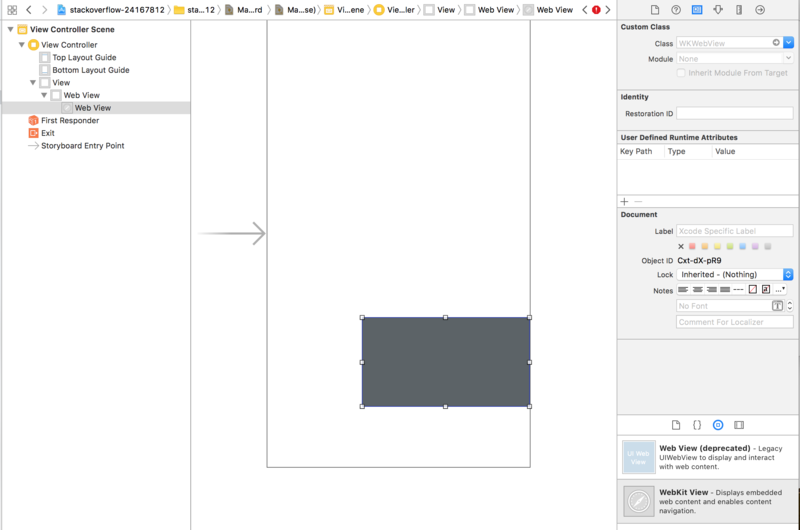 How to delete or replace the automatically added NSView in Interface Builder?